Monday Milers is a fun and social wellness activity promoting a healthier lifestyle and the notion to get out and walk for wellness. Complimentary and open to anyone and everyone, we encourage you to come on out and join us! If you need any special assistance we do ask that you pre-register so that we can help to make your experience fun and successful. 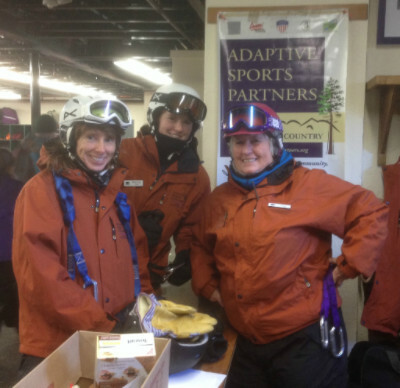 Let us know you are coming by calling 603-823-5232 or emailing the ASPNC office info@adaptivesportspartners.org. Check out this weeks location at on our Calendar. We raised nearly $18,000 during this year’s event! Thank You! 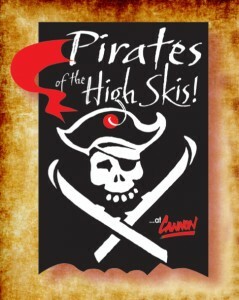 A tremendous “THANK YOU” to everyone who helped support our sixth annual Pirates of the High Skis event! From the Treasure Hunt to the Tattoo Parlor and the Photo Booth to the search for the Turncoat Traitors, a fun and enjoyable time was had by all. Our Silent Auction and Luck O’ the Brotherhood Raffles were great successes, too! This year we raised nearly $18,000 – over $3,000 more than our prior best year! Sponsor Shoutout We thank our sponsors for their support in helping to make this event successful each year. Event Sponsor Admiral of the Pow Brethren of the Bump Paramount Electrical Tuckerbrook Buccaneer For those who made it out to the event, we hope you had as much fun as we did! And we hope to see you all next year! Happy New Year from ASPNC! We hope that your 2016 is off to a great start! Here at ASPNC we’ve been busy with volunteer training – sometimes working through less than cooperative weather! – and starting our first programs of the season. 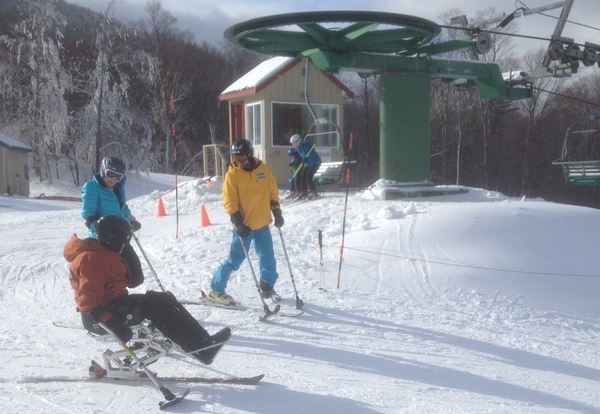 Saturday we were thrilled to have Spaulding Adaptive Ski Club join us on the mountain to kick off our winter programs! A huge “Thank You!” to our anonymous donor for helping to acquire these items and start the year off right! 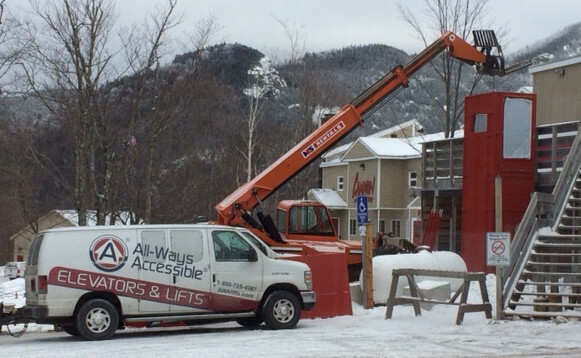 Exciting news at Cannon Mountain: the exterior vertical lift is installed and inspected, providing access to the full lodge for visitors with limited mobility. 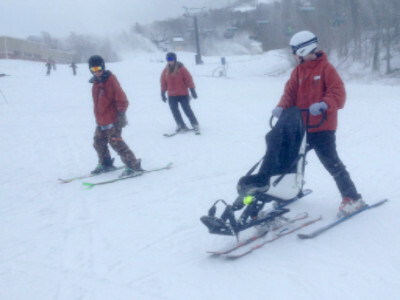 We’re thrilled to have collaborated on this project with Cannon Mountain, Centerplate, Inc., Spaulding Adaptive Sports, the Zack Heger Foundation, and our many supporters! Celebrate #AccessforAll! Check out more photos of the construction process on our Facebook page. Thank you again for your continued support. Here’s to a great 2016! 2015 was a great year for ASPNC! Thanks to all who helped contribute to our success last year, and for helping us reach greater heights this year! 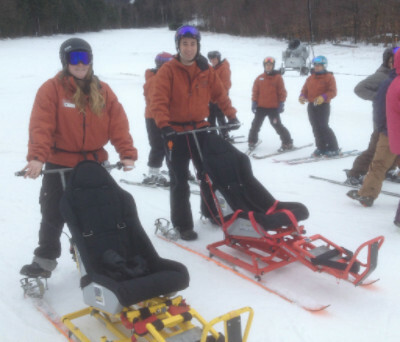 Special thanks to The Mount Washington Cog Railway, one of ASPNC’s newest sponsors and an Admiral of the POW at the upcoming Pirates of the High Skis!